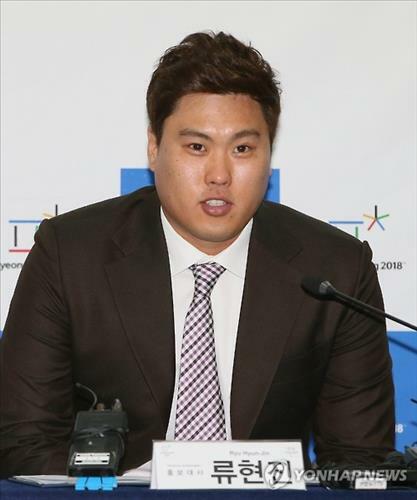 SEOUL (Yonhap) — South Korean pitcher Ryu Hyun-jin has been named the honorary ambassador for the 2018 PyeongChang Winter Games, organizers said Thursday. The Los Angeles Dodgers pitcher will take part in various activities promoting South Korea’s first Winter Games in PyeongChang, some 180 kilometers east of Seoul in Gangwon Province, the organizing committee said. “As a world-class athlete, Ryu’s participation will be a great asset to magnify public interest and awareness about the upcoming Winter Games in 2018,” Cho Yang-ho, head of the committee, said at a press conference in Seoul. 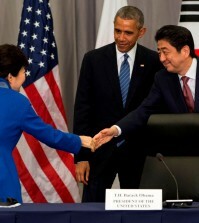 Ryu also pledged to do his best to attract people’s interest and participation in the Games. Ryu made his MLB debut in 2013 and had been the starting pitcher for the Dodgers until 2014. He is currently undergoing rehabilitation after a shoulder injury earlier this year. Ryu joins the star-studded list of fellow ambassadors, which includes South Korean figure skating champion Kim Yu-na, South Korean actor Lee Min-ho and Olympic alpine skiing champion Lindsey Vonn.